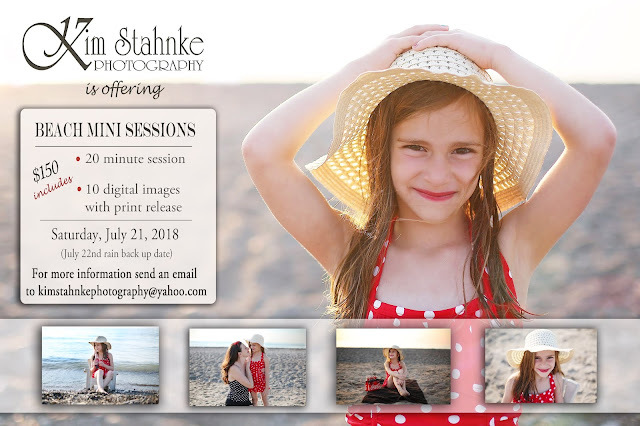 Kim Stahnke Photography is announcing some fun Beach Mini Sessions for the very first time. There are limited appointments, so be sure to grab up one of these while you can! You can dress up for this session, or go all beach with bathing suits. I'll bring along some fun beach props for the kids if desired. 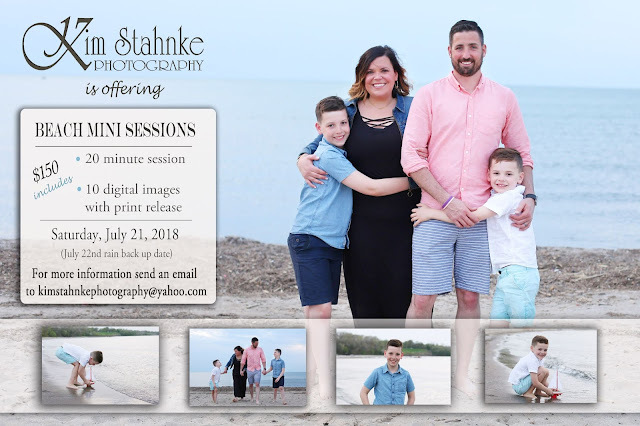 I just want to capture those fun moments with children on the beach that parents wish they could have.